The Kelley West Microderm360 Personal Microdermabrasion Kit is the ultimate investment for those who want brighter, softer, smoother skin. This machine is very popular with those who want to get rid of stretch marks, acne scars, wrinkles, fine lines, and other imperfections of the skin. If you are currently looking for a machine that can provide you with an en easy and effective way to improve the overall look and feel of your skin, this comprehensive kit has just about everything you need and is definitely worth taking a close look at. One of the best things about this microdermabrasion kit is that it has just about everything you need to reduce the visibility of skin imperfections without having to keep paying a high amount at a spa or clinic. 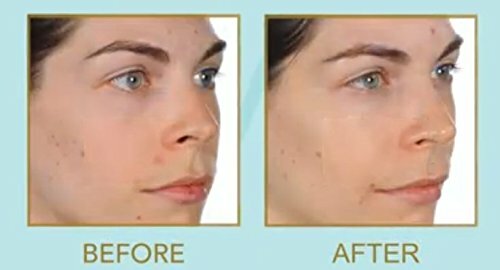 Spas typically charge quite a bit of money for microdermabrasion treatments, which is why more and more people are buying machines/kits like this one. This particular machine has a fine tip head for sensitive body parts, such as the neck, face, feet, and legs. You will also find that this machine can actually produce noticeable results quickly, which is something that cannot be said about all of these products. 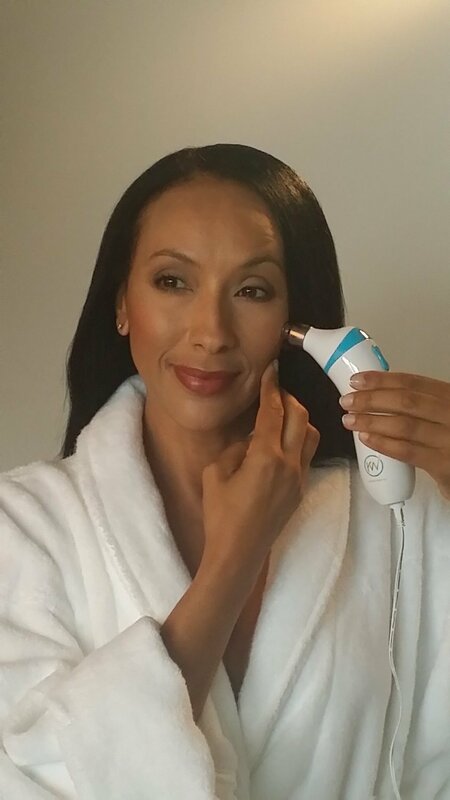 This dermabrasion machine has a lightweight design but it is still incredibly durable and will most likely last you a very long time, making for an excellent investment in your own skin. The stainless steel diamond tip that this machine uses is just one of the great things about it, indicating true and long lasting durability. This machine’s suction strength is top notch, which is the primary reason why it is able to produce such noticeable results. One of the drawbacks of the Kelley West Microderm 360 that some people who have purchased it have commented on is that it is a bit too powerful for them, causing discomfort because of the high suction. Although the suction on these machines is designed to be powerful for removing dead skin cells, some people may find it off-putting. And while this machine certainly seems to work well for lots of people who want to rejuvenate their skin, it doesn’t quite compare to the machines that are used by professional estheticians. The fact is that while you may get very noticeable results from this machine, it is important to manage your expectations accordingly. The Kelley West Microderm 360 microdermabrasion kit is a great purchase for those who want to improve how their skin looks and feels. While this machine may not be perfect, it can be a great investment to make if you like to exfoliate your skin regularly but don’t want to keep paying a lot of money at the spa. This machine quickly pays for itself with its effective yet user-friendly design, making it a quality product overall.